David Roussève/REALITY (Love Songs, Next Wave 1999) returns to BAM for the first time in almost two decades with the NY Premiere of Halfway to Dawn, a jubilant dance-theater work celebrating the life of composer and arranger Billy Strayhorn, best known for his standard, “Take the ‘A’ Train,” and as Duke Ellington’s collaborator. In this recent work, the Guggenheim fellow and Bessie award-winning choreographer Roussève meditates on the life and legacy of Strayhorn, layering dance, text, abstract video imagery, and sound design to create a portrait of the jazz virtuoso. Context is everything, so get even closer to the production with this curated selection of related articles and videos. After you've attended the show, let us know what you thought by posting in the comments below and on social media using #BAMNextWave. Read this LA Times preview of the world premiere of Halfway to Dawn from October 2018. Read about David Brent Johnson’s top five song picks for Billy Strayhorn, and how they exemplify his unique talent and spirit. Listen to a curated playlist of songs that Strayhorn wrote, including “Take the ‘A’ Train,” “Lush Life,” “Satin Doll,” and more. Tom Vitale pays tribute to Billy Strayhorn in 2015 on Weekend Edition Sunday on what would have been the composer’s 100th birthday. 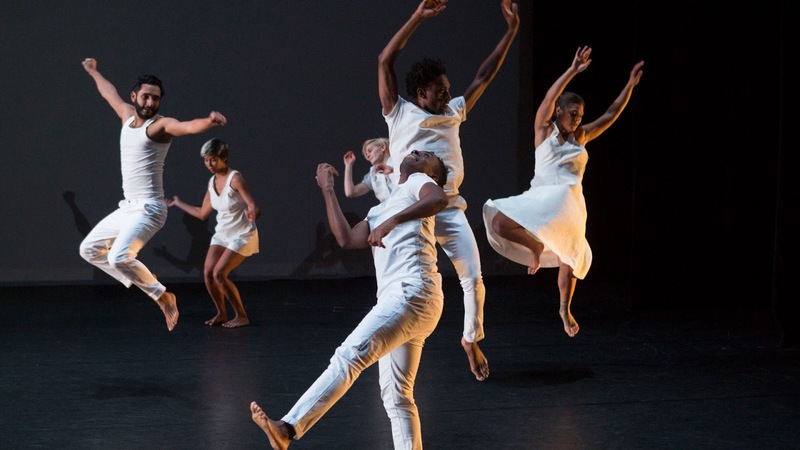 Choreographer David Roussève explains his personal connection to the work of musician Billy Strayhorn and speaks about creating Halfway to Dawn while in residence at NYU Tisch School of the Arts.